Providing real-time audience insight across its national radio properties and digital and social engagement, as well as what is and isn’t working, lies at the heart of the Australian Radio Network’s (ARN) decision to launch a ‘data’ RFP. 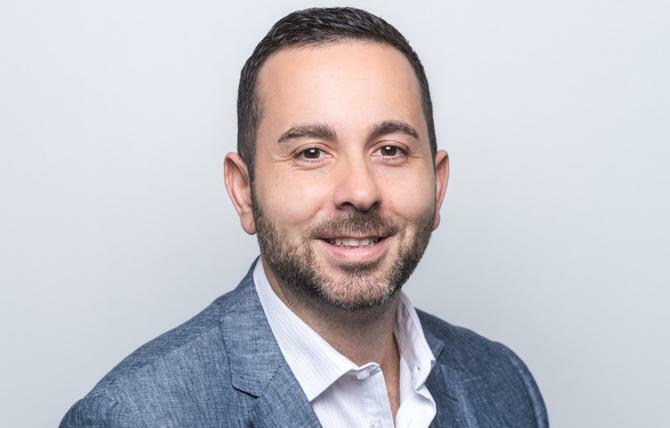 In a recent interview with CMO, the radio network operator’s marketing leader, Anthony Xydis, said he’s joined forces with the group’s COO/CFO on a holistic and exploratory ‘data’ RFP aimed at better harnessing first-party data across the organisation. One business pillar helping improve ARN’s internal data sets has been the local investment into the US-based iHeartRadio streaming service, which Xydis labelled a “game changer” for insight. Today, the digital platform has 1 million registered users and has delivered ARN 900,000 usable consumer emails. “Being able to communicate with these consumers opens up opportunities for new channels that we can target,” Xydis said. “That’s incredibly valuable to us. With marketers all seeking to build a single data-based customer view, Xydis recognised the importance of building a better insights engine within ARN’s four walls. At the same time, he stressed the importance of proving viability long term. With data and technology change such a substantial investment, it’s vital ARN can articulate the longer-term pay-offs. And that’s more than just buying software, Xydis said. It ties back to marketing proving its value to the business. “There’s no point in investing in big enterprise solutions such as Salesforce or adobe unless you have you house in order. I’m sure other marketers would disagree, but I’m a pragmatist when it comes to the way media businesses run,” he said. What’s more, marketing must work in partnership with technology and operational teams on a whole-of-business approach, Xydis said. Of course, ARN already has a wealth of data and research being utilised, from insights around the effectiveness of radio as a medium and how it works in relation to other forms of media, through to content strategy, music programming, engagement with breakfast shows, brand health and third-party advertiser metrics. Having undertaken a number of internal data audits, ARN’s data RFP is more about asking potential partners to help identify what’s going to be the best areas to focus on, then provide recommendations on how to resource up the business, Xydis said. “I don’t believe there are massive revenue upsides in the short term, but in the long term, this future proofs the business, and helps you better understand audiences with very rich data and insight. How you can then share those insights from data is incredibly important to our customers,” Xydis said. Ultimately, ‘data’ must become a cultural element as much as a skill or capability across teams, he added. Xydis has learnt a lot about cross-company collaboration over his five years with the ARN business. He joined the group via a consulting project, becoming marketing director then joining its executive ranks three years ago. Prior to this, Xydis spent the bulk of his career with out-of-home providers, starting with Buspak Advertising (now Cody Out of Home) locally and in the UK, before joining AdShel and helping drive its growth from a $40m to $110m business. It was during a stint in Switzerland with AdShel’s parent company, Clear Channel, that Xydis had the opportunity to run a global rebranding project in 28 countries, a career highlight. Upon joining ARN, Xydis worked on the launch of the KIIS brand in Sydney and Melbourne, along with the debut of Kyle & Jackie O on the network. Since then, he’s worked to position and transform the rest of ARN’s brand portfolio. He described it as an exercise in building rapport and influence with the sales and content teams particularly. “Media owners have marketing departments but they’re not always marketing-led businesses. They’re either content or sales-led, which is natural given they’re broadcasting content, have audiences and build revenue off the back of that,” Xydis commented. A key difference in broadcast media is brands just don’t get built through marketing alone; content teams really own that brand and the sound of a brand every day and content they produce, Xydis continued. “What content teams have come to understand is we’re working in parallel with them. Having a degree of sophistication and rigour around the way you then consistently communicate that brand is really important,” he said. As a result, the key to being CMO at ARN is influence and collaboration, Xydis said. “That’s not always easy. But that’s what I’d like to think I do at ARN,” he said. The proof is in the headcount. Since joining ARN, Xydis’ marketing team has grown from two people to 45, structured into consumer trade, brand activations and communications. Xydis also attributed the growing influence of marketing to stakeholder management, as well as proving the value of marketing and brand creation, the value of increasing media spend, the delivery of audiences, perception growth with clients in the B2B space, and investment in digital and social. In 2017, ARN celebrated its best year ever as Australia’s number one radio station, taking out the number one spot in the ratings of Sydney, Melbourne and Adelaide FM stations, as well as number one and two breakfast shows with Kyle & Jackie O and WSFM’s Jonesy & Amanda.